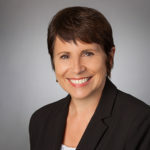 Those looking for the magic bullet or crystal ball forecasting the next “hot” market in senior housing likely won’t find it, but industry thought leaders at regional and national events, including the recently concluded HealthTAC West, are touting a strong future in numerous markets across the country. 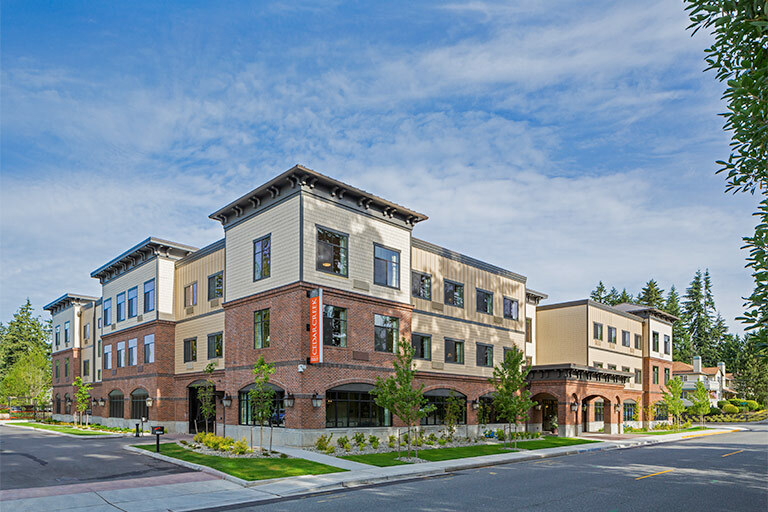 “To say that we see one hot market over the next would be a stretch,” said Todd Hudgins, SVP senior living at ERDMAN, which has seven office locations across the country. “As a national project delivery model, we are seeing projects from Los Angeles to Tacoma, WA, on the West Coast. Up the middle of the country, there are various projects outside of Chicago and Madison and down into Central Illinois. The Southeast has quite a few projects that we are looking at between Atlanta, various South Carolina locations and several in Florida. “We just still see a robust new development market. One thing these markets have in common is the existence of older, outdated supply and a growing population that fits the demographic that our clients are aiming for,” Hudgins added. Denver-based Spectrum Retirement, which develops, owns and operates 40-plus retirement, assisted living and memory care communities across the U.S., is currently developing communities in Greater Chicago; Austin; Phoenix and Mesa, AZ; Columbus and Cincinnati, OH; and Indianapolis. Recently Trustees gave the go-ahead for Spectrum to move forward on Algonquin Senior Living located in the Chicago suburb of Algonquin and started construction on Silver Glen Senior Living, which will feature 179 senior living residences across a full spectrum of care in South Elgin, also a northwest/west suburb of Chicago. Between its five existing communities in the Chicago area, two under construction and slated to open in Burr Ridge and Palos Heights in 2019, and the newest Algonquin and Silver Glen communities, Spectrum will operate nine communities in the Chicago area with a total of more than 1,300 apartments by 2021. 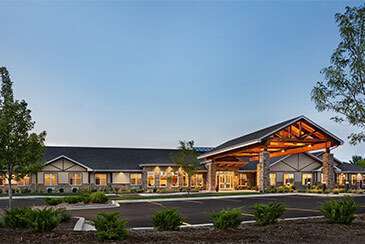 Irvine, CA-based Silverado just opened its fifth community in the Chicago metro area—Silverado St. Charles, a 47,000 square-foot, single-story memory care community located in St. Charles in the heart of the Fox River Valley. With the capacity to serve 90 residents, the community features indoor space specifically designed to meet the unique needs of those with Alzheimer’s disease, other forms of dementia and those with memory impairment, as well as outside space purposefully built to give residents the freedom to enjoy the outdoors. It also offers around-the-clock licensed nurses and a designated physician medical director. 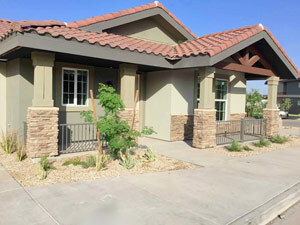 A recognized provider of home care, memory care assisted living and palliative and hospice services with 58 locations across Arizona, California, Illinois, Texas, Virginia, Washington, Utah and Wisconsin, Silverado also recently received approval from the Planning Commission and City Council to build and operate a state-of-the-art memory care community in Thousand Oaks, CA. 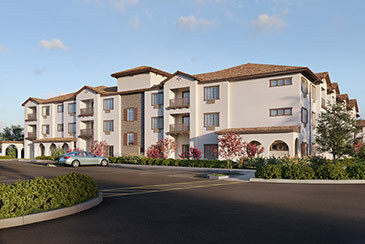 The new two-story Silverado Thousand Oaks is expected to open in early 2020 on a two-acre site just east of the Conejo Valley Botanic Garden and will serve 82 people with Alzheimer’s disease and other memory-impairing conditions. Designed to meet their unique needs, it will feature skylights and sunrooms to draw in natural light and warmth, Eversound technology to aid resident hearing to increase engagement, and living areas to provide residents with inviting, comfortable spaces for social interaction. “Koelsch Communities is excited for our continual growth in eight states,” said Terry Hanson, Koelsch’s VP of business development. “Our current 29 communities and nine in development allow us the flexibility to grow and expand as needed. Civitas Senior Living—based in Fort Worth, TX, with almost 50 communities in Texas, Arizona, Oklahoma, New Mexico, Colorado, Kentucky and Florida—currently operates/manages six communities in the Austin area. With another community scheduled to open in the South Congress area of Austin in 2019, Civitas is also committed to the neighboring Hill Country area with four communities a short drive from Austin. Whisper Woods of Smithtown, which opened last week, is the first New York community for Waltham, MA-based Benchmark, which has 57 communities in eight states. Designed to meet the growing demand for assisted living services on Long Island, NY, the $25 million project features a three-story building on 12.6 acres with 71 assisted living and 30 memory care residences. In 2016, the U.S. Census Bureau estimated there are 131,992 Nassau and Suffolk County residents age 80 years and older. That’s a 21,041 increase or 19% growth from 2006 and a trend that’s only going to increase as the baby boomer generation continues to age. There’s a need for high-quality senior housing in an area where the 75+ segment has grown by 20% in the last eight years (2010-2018). 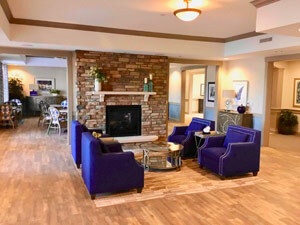 Benchmark’s new Sturges Ridge of Fairfield featuring assisted living and memory care also opened last week in Fairfield, CT—Benchmark’s 18th community in the state.